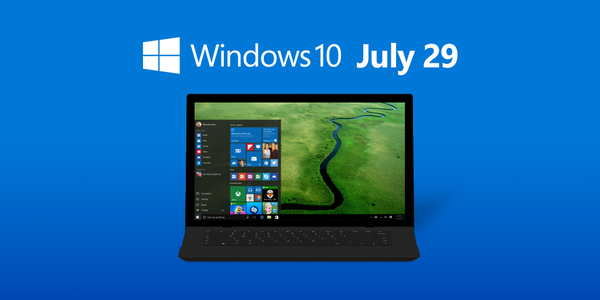 After months of ramblings and speculations Microsoft’s Windows 10 will be available on July 29, 2015. The best news is it can be downloaded free of charge for those non-corporate users who are using earlier versions of Windows 7 and Windows 8 that came out in 2012. Windows 10 is a more refined version and has been vastly enhanced. The introduction of Windows 10 will help to slowdown attacks from Apple and Google on Microsoft’s domain. The best news is Windows 10 can communicate with PCs, tablets and other devices. It fixes what was wrong with Windows 8 and combines all available knowledge into one heck of an operation system. Touch lovers should enjoy it more than others. Don’t worry keyboard and mouse lovers you can still use Windows 10 with more enhancements. Those who are using Windows for navigation on their smartphones will love the availability of Cortana. It is a dream comes true for game lovers. Windows 10 can stream real-time games to your desktop from Xbox One in another room. Those who were lucky enough to use the demo version for months can’t stop raving about Windows 10. Expect more stories to come out when millions of people start to use it.